As the ACP president Emil Sutovsky has promised the awarding ceremony of the Fair Play prize was held in Loo. 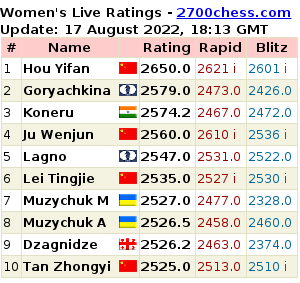 The first prize winner became GM Evgeny Tomashevsky. According to the press release the prize is awarded to the sportsman for demonstrating exceptional honor and dignity in the Russian Team Chess Championship 2012. The game Tomashevsky - Sasikiran was the 3rd round game in the match between Economist-SGSEU (Saratov) and Navigator (Moscow). Up to the end of the game the Indian GM had an extra pawn in the rook endgame, although at that moment White has already set up the position for the draw. After making the move Sasikiran pushed the clock too weakly, so it was still his time running out. Soon he dropped the flag. Tomashevsky however refused getting such a point and offered his opponent a draw. The captain of the Economist team asked Evgeny to think over his decision again, but Tomashevsky remained adamant. The first prize winner was chosen by the ACP Board. The next time the winner is planned to be decided by the general voting of the ACP members. The Fair play prize 2012 established by the ACP will be awarded at the opening ceremony of the Russian team championship which will take place in Loo. The head of the ACP Emil Sutovsky informed us about that. The prize-winner was determined by the Board of the organization. Tomashevsky On the Draw Against Aronian "I Hope This Will Be The Most Uninteresting Game of the Match"
One of the yesterday's losers, Evgeny Tomashevsky was first to finish the game today. He drew against the world's second player Levon Aronian. The Catalan opening took place. The draw was agreed after a repetition in a calm position. One of today's heroes Evgeny Tomashevsky gave an exclusive commentary to our correspondent Elena Klimets. Namely, the GM explained what "suspending the race" means, the phrase he mentioned at the press conference. "When you are continually sent in a groggy state, it's very important not to miss a blow; and if you manage to strike a blow in return that would be just wonderful. So, it was important to play this game without making mistakes. There is a change in Russian Olympic team which is going to play in Istanbul this year. Evgeny Tomashevsky will take the place of Alexander Morozevich. This info appeared on the official site in the “Countries” section and was confirmed by the head coach of the Russian team Yury Dokhoian. Morozevich will not be able to participate in the main team tournament of the year because of his poor health conditions. The same reason forced him to leave the tournament in Biel. GM Evgeny Tomashevsky will be our guest tomorrow (August 29) at 22.00 MSK Time (20:00 CET) on Chess-News radio. You can leave your questions for Evgeny in the commentaries below. Please specify your name. Chess-News has found out that Alexander Motylev will replace Evgeny Tomashevsky in Poikovsky tournament which starts on August 27th. The replacement is forced as Tomashevsky has defeated Gata Kamsky in 1/4 final and advanced to the semifinal. 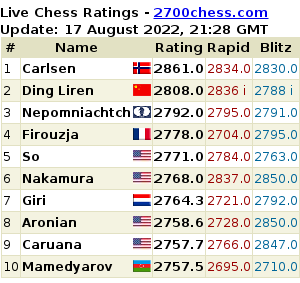 The rating favourite of the World Cup GM Levon Aronian got eliminated by GM Evgeny Tomashevsky of Russia. He didn't manage to recoup himself in the return game of Round 3. "One of The Biggest Victories In Career"